LIMITED WARRANTY AND EXCLUSIVE REMEDY: Fi-Foil warrants that during a period of one (1) year from date of shipment of the goods purchased under this Agreement, such goods shall perform in accordance with Fi-Foil’s written specifications applicable to such goods. If during such period such goods shall fail to perform in accordance with Fi-Foil’s written specifications. 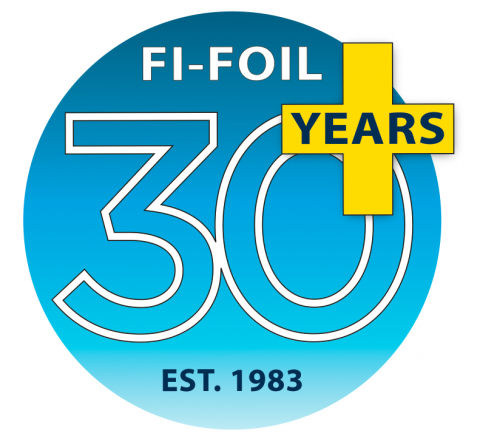 Fi-Foil shall, at its expense and option, repair or replace the goods; provided however, Fi-Foil shall not be responsible for any removal, installation or reinstallation costs. Except that Fi-Foil Silver Shield™ Radiant Barrier Product is covered by a separate, written 20-Year Transferable Limited Warranty and Fi-Foil’s RBI Shield reflective insulation product is covered by a separate, written ten year transferable limited warranty. THE FOREGOING WARRANTIES AND REMEDIES SHALL BE CUSTOMER’S SOLE AND EXCLUSIVE WARRANTIES AND REMEDIES under any and all circumstances. Provided further that if any such remedy shall fail of its essential purpose, Fi-Foil’s maximum and sole liability arising from or related to this sale of goods or services, or from any attempts to repair or replace defective goods, shall be limited to payment of the purchase price, or the allocable portion of the purchase price which relates to the defective goods furnished under this contract. The foregoing warranty shall be void if damage results from Customer’s improper installation, repair or use of the goods. DISCLAIMER OF ALL OTHER WARRANTIES: Fi-Foil makes no warranty other than the limited warranties described or provided above, THESE LIMITED WARRANTIES ARE EXPRESSLY IN LIEU OF ANY AND ALL OTHER EXPRESS OF IMPLIED WARRANTIES, INCLUDING ANY IMPLIED WARRANTY OF MERCHANTABILITY OR FITNESS FOR A PARTICULAR PURPOSE, ALL OF WHICH ARE HEREBY EXPRESSLY DISCLAIMED. In no event shall Fi-Foil be liable, and Purchaser shall hold Fi-Foil harmless from any damages, direct, indirect, general, special, incidental or consequential, whether resulting from Fi-Foil’s negligence or otherwise, arising out of, in connection with, or resulting from the goods or services sold hereunder, and any and all claims, actions, suits and proceedings which may be instituted in respect to the foregoing, including those made by subsequent owners and users of the goods.